Uber app will now allow riders to make free calls to the cab-drivers. The application previously used to give the call feature to the users but the passengers had to make calls through their cellular connection, but now the app has rolled out the VoIP based call feature for the Indian users. To recall, the feature was introduced in other countries for Uber back in October last year, but now it is being rolled out in India. The VoIP based function will mean that the call will be made over the internet from the Uber app, thus it will protect the phone number of the rider. Another advantage of this would be, that the call charges won’t be deducted from the rider’s cellular account. Much similar to the passengers, the Uber drivers will also get this facility thus allowing them to communicate with their riders easily. On Saturday, Uber users in India reported seeing the feature for the first time. In case you want to make a call to your driver, then after you book the cab, you can tap on the calling button. A pop-up screen will allow you to choose between cellular network and VoIP to make the call, choose the Free Call option from the screen. The Uber app will now ask you to grant permission for using the microphone of the device. Tap on ‘Allow’. Once the call begins, you will be able to see the name of your driver on screen, along with it you can also see options like mute, speaker, and of course, there is the end call button. Another thing to note is that when you make a call to your driver using the Uber Free Call option, the driver won’t be able to see your name or number and the caller identity will only show “Uber”. The same will be the case when the driver calls you via the Free Call feature. This new feature by Uber has multiple benefits. First is the obvious advantage of keeping the numbers of riders and drivers private. The app will also increase the ease of use as now drivers or passengers will be able to make a call without even leaving the Uber app. Additionally, in case you are travelling abroad and you do not have a cellular connection then the Free Call feature will allow you to make calls when you are connected to Wi-Fi. 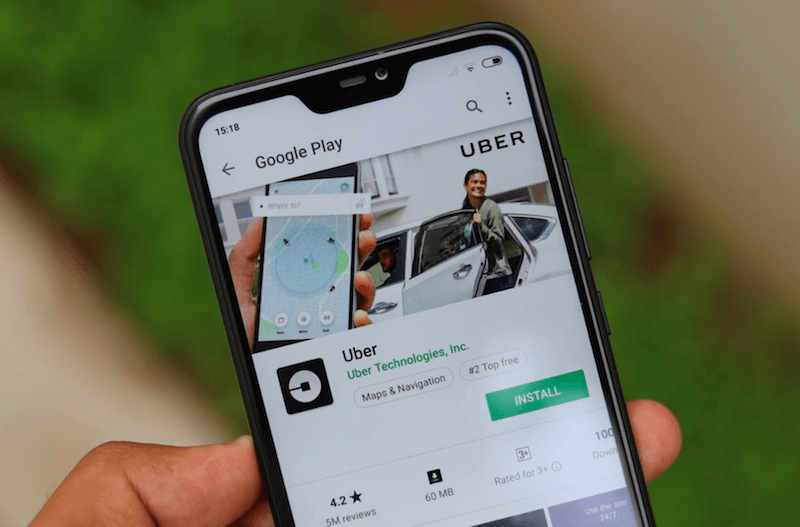 Also, Uber users should keep in mind that although the feature is being rolled, the standard calling functionality will remain as an option in the app. With the rollout of the new Free Call feature by Uber, there has also been some scepticism about Uber listening to the calls between drivers and riders. The access to the microphone might mean that Uber can be listening to the conversations. Some drivers also reported that they were unaware of the new change and did not pick up the calls thinking that it was someone from the company calling them. Good that Uber has taken steps to ensure privacy. If only Uber was aware about the current scenario in India, calls to any network are free. Now no one has any problem in calling anyone anywhere in India. See, the topic hasn’t been written properly. Uber surely knows about free calls in India. They want the calls to be secured and when you call, the driver can never get to know your actual number. That’s great for privacy. And one more thing. I’ve travelled to a lot of countries. And without a sim you can’t book. Now it let’s you do that and you can now talk to the driver over wifi and VoIP. That’s some brilliant move. @chinmay Nope, they are not free.